You are here: Home / News / What are VA Non-Allowable costs and How do they affect me? There are several misconceptions regarding VA loans in the real estate community; one being the issue of non-allowable costs. VA non-allowable costs are costs that the veteran is not allowed to pay. As a real estate broker, I have heard so many false, inaccurate statements about VA non-allowable costs. 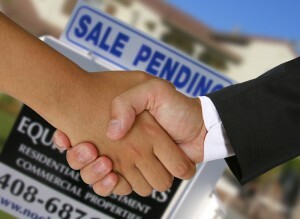 Many realtors have no idea how much they are, what they are and neither do many lenders. Last year, I had a VA buyer that made an offer on a house that was refused because he was a VA buyer using a VA loan. When I asked why their offer was refused, the seller’s agent informed me it was because the non-allowables were $1800. When I laughed and asked where she had heard this, she told me “I called and talked to a lender and they said $1800!” Obviously this lender shouldn’t be in business. Unfortunately, there is not one universal dollar amount that will hold true for every transaction, in every state. I do most of my business in Texas, which is one of the most heavily concentrated veteran states, and the non-allowable costs do not run over $300…..Usually about $275. Some states have different costs than others. For example, a termite inspection is not required in all areas of the US, but the federal regulations apply to all states. My Texas clients are not allowed to pay an escrow fee ($125) , Tax certificates ($45), courier fees ($20+-), or Termite inspection ($80). If the house is in a mandatory home owners association, there can be fees to transfer. These fees are also non allowables, usually about $100 or so depending on the association. When you and your Realtor are out making offers on homes, don’t let sellers and their agents refuse your offer based on misconceptions. Call a local title company or ask your lender how much your non-allowable costs will be. This way, you can let a seller know exactly how much they will be required to pay for the VA non allowable costs.